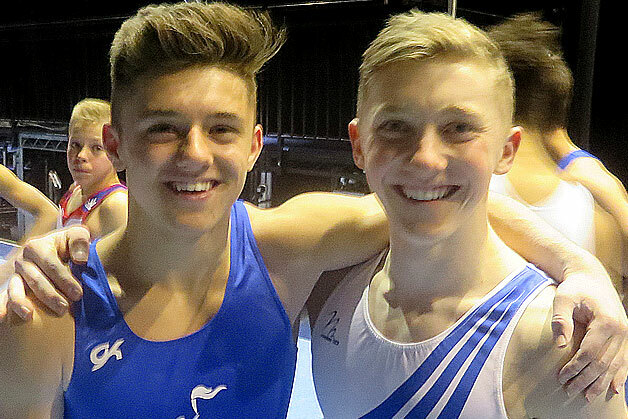 28/03/14: Giarnni Regini-Moran and Nile Wilson have taken the men’s under 16 and under 18 all-around British titles at the 2014 British Championships at Echo Arena, Liverpool. In the under 18 years category, Nile Wilson started off strongly on the parallel bars with a steady and confident routine. Moving onto high bar his routine was one of the highlights of the competition with a clean performance and a stuck dismount. Nile then steadily moved through the apparatus confidently and cleanly finishing with 86.350 nearly four marks ahead of the rest of the field. His performance was the mark of a true champion after suffering with illness over the last few days. In the silver medal position was South Essex’s Brinn Bevan (82.650). Brinn showed top class work on the parallel bars and produced a superb high bar routine but unfortunately had mistakes on the pommel where a loss of leg form and fall pushed him down into second place. It was Brinn’s teammate Jay Thompson who took the all-around bronze medal with 82.450. Again, unfortunate mistakes such as sitting down on his vault and a fall on the high bar prevented him from placing higher. However he showed world class skills across the other apparatus that kept him on the podium. In the under 16 category, Europa’s Giarnni Regini-Moran was crowned the all-around champion. His highly difficult floor routine scored 14.400 and contributed to a solid 81.150 finish. Although he had to count falls on both the pommel and the high bar his difficulty across the apparatus gave him the title. Joe Fraser from the City of Birmingham had a mixed day with a fall on the high bar and a struggle on his pommel horse dismount. However he put in solid performances on the floor and rings to secure the silver medal with 78.600. Young Joshua Nathan from the City of Birmingham was extremely impressive for his first year in the under 16 category taking the bronze medal with 78.500. His score of 14.250 on the pommel would rival some of Britain’s more senior gymnasts. He was consistent across the apparatus allowing him to move his way to the top and take his place on the podium. Check out the full under 18 and under 16 results. 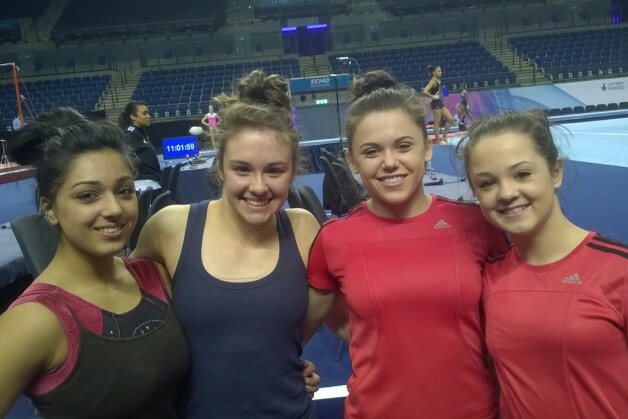 A selection of routine videos from the event can be found here. As well as being awarded the all-around medals (for top scores across all apparatus) the top three gymnasts on each piece of apparatus were also announced. In the Under 18 category Nile Wilson took the floor, pommel, rings, parallel bars and high bar titles with Jay Thompson taking the vault crown. In the under 16 event the all-around winner, Giarnni Regini-Moran took the floor, vault and parallel bars golds.The other titles went to Joshua Nathan on pommel, Joe Fraser rings and Loukas Jones on vault.